This big and beautiful 16.3 hand gelding will surely get you seen in the ring. 2014 U.S. National Top Ten Half Arabian Hunter Select and Maturity. 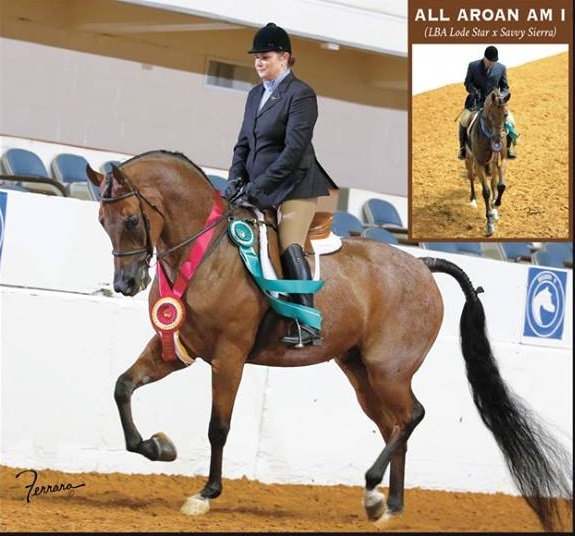 Region 9 Champion Half Arabian Hunter Pleasure Jr horse, and Region 9 Reserve Champion Half Arabian Hunter Pleasure Select.